Matrix Integration, based in Jasper, is aligning itself with another expanding IT company to help financial organizations better defend their data. The strategic alignment was announced June 21. Matrix, which specializes in infrastructure, and infotex, which specializes in IT risk management for financial services, are joining staff and expertise to create a holistic approach to help the financial industry defend against ever-evolving cyber threats. Matrix is a $50 million annual revenue private company that helps more than 1,000 clients in over a dozen industries with a wide range of services, including IT infrastructures and network security. 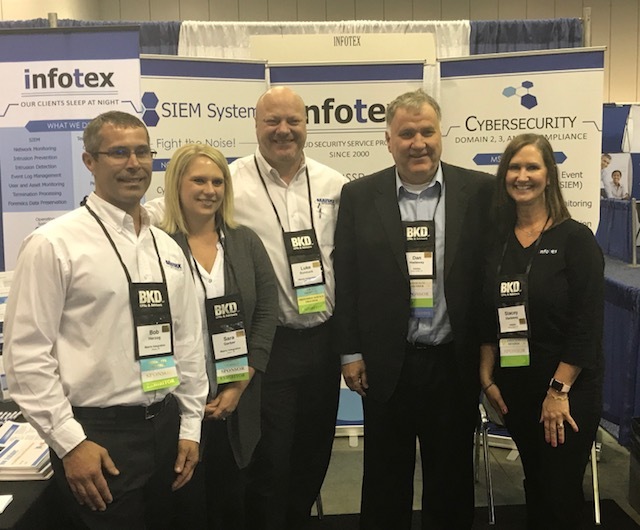 infotex is a preferred service provider of the Indiana Bankers’ Association and has helped hundreds of financial institutions shore up their security and better monitor their risks. Nathan Stallings, president of Matrix, is looking forward to creating robust and effective custom solutions for banks. Matrix and infotex will begin working together immediately. For more information or to speak with someone about how to work with the newly-formed strategic alliance, visit www.matrixintegration.com or call 317-288-9349.